« Villa Carlotta » Reversible duvet cover, printed on a long staple cotton percale. One side printed, one side solid white percale. Hidden zipper closure. Flat top sheet, with a 25cm cuff. 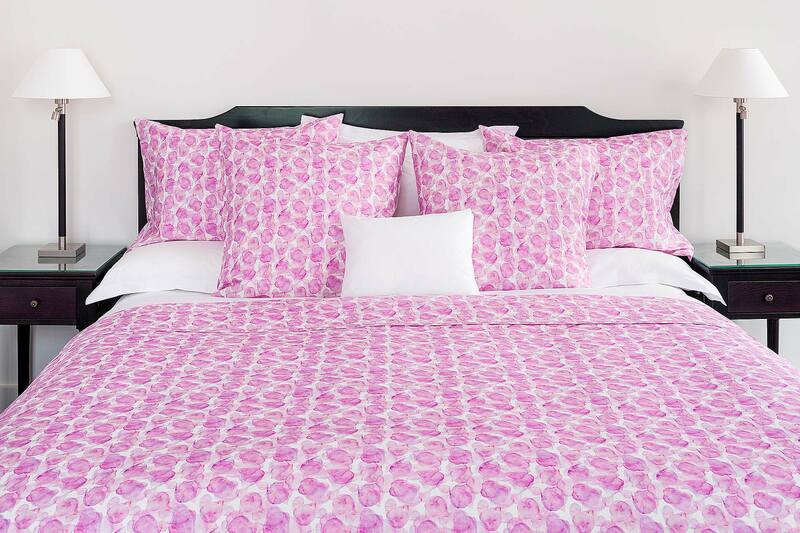 Pillow cases entirely printed, pure cotton percale. Hidden zipper closure.